Celebrate the season and family with our delicious Brunch! 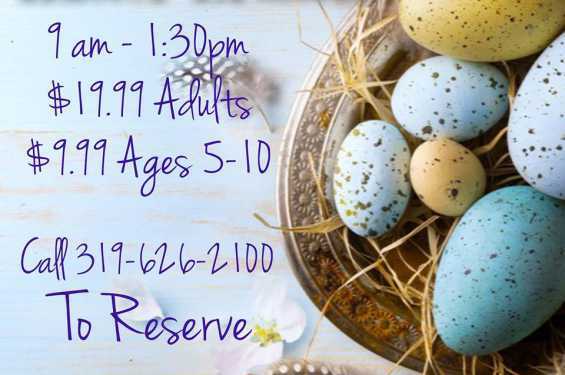 Call 319-626-2100 to reserve your spot today! 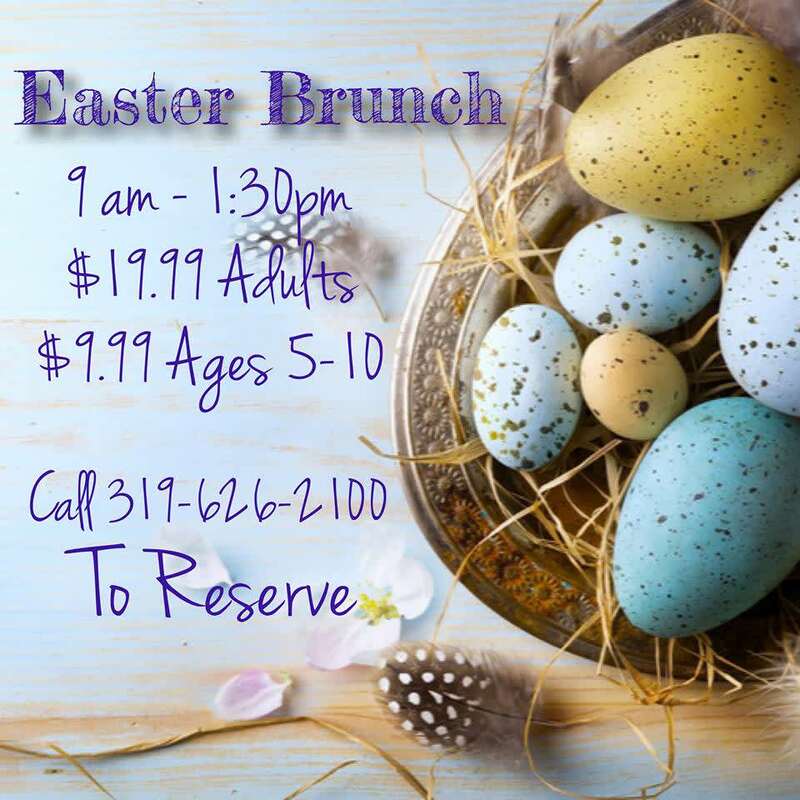 Our brunch buffet will feature favorites like Ham, Fried Chicken, Sausage, Bacon, Eggs, Salads and a beautiful display of various dessert! Full menu teasers will be available as we get closer - but don't wait to reserve your spot! We fill up quickly!